Due to the recent death of King Abdullah, Saudi government announced that tomorrow, January 25, 2015 will be holiday for Governmental Offices and School. SPA – “Due to the death of Custodian of the Two Holy Mosques King Abdullah bin Abdulaziz Al Saud and keenness to provide comfort and facilitation to all citizens in offering condolences and allegiance-pledge in all regions and provinces, Custodian of the Two Holy Mosques King Salman bin Abdulaziz Al Saud announced that tomorrow (Sunday), 5/4/1436H, is a formal holiday for all governmental sectors and male and females students in all educational stages, including the higher education,” the Royal Court announced today. 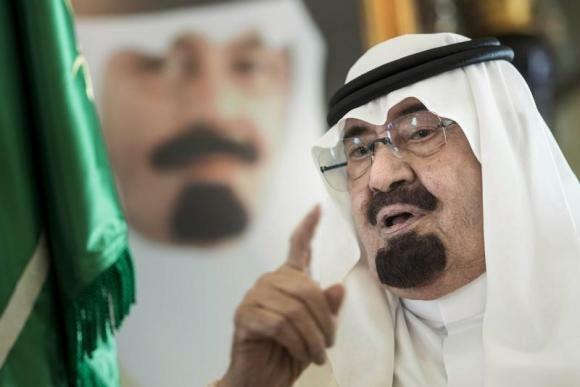 King Salman replaced King Abdullah to the throne.